In case you missed the first two installments of Child #1's serialized summer story you can read the introduction here: http://www.johannagarth.com/2011_05_29_archive.html and Chapter One is here: http://www.johannagarth.com/2011/06/moonstars-chapter-one.html. It's officially summer vacation and we're already at Chapter Two. Hope you enjoy today's installment! Isleia slammed the door behind her and went off. She left Parkside Ave. and went into this strange cave that had a sign that said, "Attic of Secrets. Do not come in." Isleia paid no attention to the rule and went ahead and went in. It was kind of weird. There was a skull and dusty cloth. She pulled out her wand and she closed her eyes and said the password. "I (Isleia) solemnly swear I am up to no good. I passed the shugamy shagamyhood. I could not tell you that I am up to some good so I solemnly swear I am up to no good," she said in her head. The door opened and she went inside. She found herself in MoonStars. A woman was standing right there in front of her. "Take class with Sahiera and Halle," she said. "Oh," the woman gasped. "The old man didn't tell you? Your wand isn't just for getting here. It's for doing magic." "So we're going to learn magic?" said Isleia, very confused. Want to find out what happens next? Tune in next week for Chapter Three of MoonStars! I love it! Can't wait to see what she going to learn how to do! Christine, thanks for stopping by. I keep meaning to tell you that I am locked out of your blog. I can read but not comment. 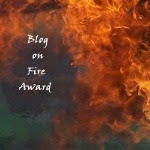 Blogger has been driving me a little crazy lately!